Hiroko Lindsey, owner and lead architect at Lindsey Architects, was born and raised in Japan. She moved to the United States to study at the University of Minnesota, where she received her degree in psychology. During this time, she also studied at the Studio Art Center International in Florence, Italy. Inspired by the architecture of the several countries she visited during her educational travels, Hiroko decided to pursue this field and went on to earn her master's degree in architecture at the University of Michigan. She also holds a LEED AP BD+C, which signifies that she has an advanced understanding of energy and environmental design, building design, and construction. 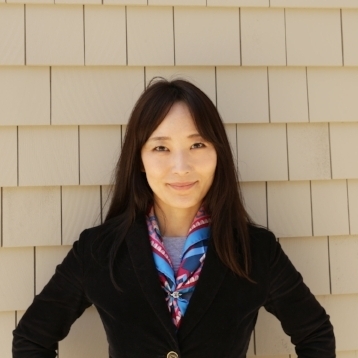 As an accredited professional, Hiroko is able to practically apply green building design techniques.After graduating from the University of Michigan, Hiroko worked as an architectural designer at architecture firms in New England. In September of 2011, she launched her own firm, Lindsey Architects. Now, she takes on clients who want to see their visions turn into reality. Through a highly interactive and customized process, she takes each project from a big idea to a complete building. As Lindsey Architects continues to grow, Hiroko will maintain its status as a small business to ensure that each and every client gets the undivided attention of the professionals working on their project. This personalization is key to creating positive, inspiring designs, which Hiroko is dedicated to achieving. Hiroko and the team at Lindsey Architects invite you to contact them regarding your architectural project. With finely-tuned skills and a great deal of experience, the professionals at Lindsey Architects can take your project from a dream to reality.